Samuel Balca, a native-born Yugoslavian with Canadian citizenship and the son of John Balca, has a long-standing burden for the people of Europe. 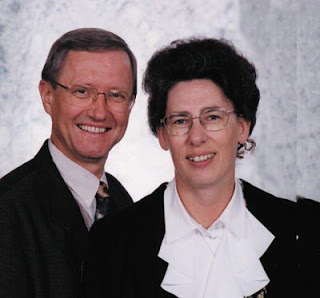 He and his wife, Pat, who are both skilled linguists, have been involved in evangelizing and training Europeans since 1971. They received their appointment as UPCI missionaries to Eastern Europe in 1979, and he served as the area coordinator for 16 nations of Eastern Europe. The Balcas resided in Budapest, Hungary and traveled extensively throughout Eastern Europe. The collapse of communism in Eastern Europe has opened unlimited opportunities to encourage, evangelize and train the 132.5 million people behind the former Iron Curtain. In September 2003, the Balcas’ appointment was changed to France and Monaco. The Balcas live near Paris and teach in the Bible school while helping to establish the United Pentecostal Church in the new field of Monaco.